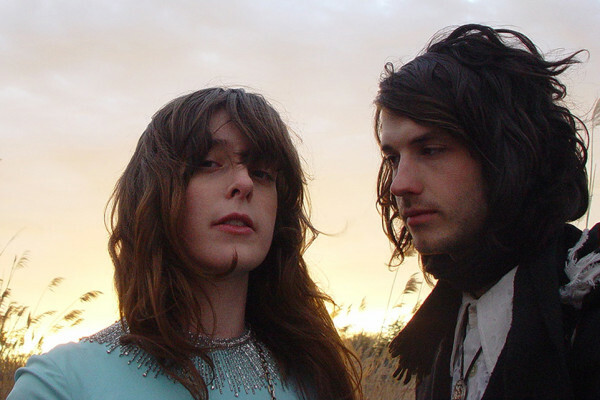 It was Friedrich Neitzsch who once said “out of chaos comes order.” For Beach House though, things seems to work against the natural progression, an evolution that they’ve held dear since their first chimes on their self-titled debut in 2006. The Dream Pop darlings have worked in much the same way since their inception, predictable and organized, a comment you could apply to the music itself. But now, with a tongue-in-cheek title aimed at their greedy fans, comes Thank Your Lucky Stars, another full length LP made during the Depression Cherry sessions but released two months later, untethered by conformity and structure, broadcast in a way that circumvents the limitations faced by the duo. But, I suppose, the world returns to order despite the publicity chaos, as their 6th LP features more prototypical Beach House, a Dream Pop aesthetic that reaches back to their earlier days for the more antiquated sound to coalesce with starry synths, finely tuned guitars, and advanced structural progression. The album hardly wows, but it does provide nine dense, quality-ridden tracks plucked from a session that delivered two albums with entirely different atmospherical backdrops. Where we start though is with the basics on 'Majorette,' a track that reeks of a Beach House-drenched aura, drawing the strongest of similarities back to the bright fluorescent of Teen Dream. It's subtle, but just as the track begins to take form a twinkling starlight soars across the background. It's cheesy, cheeky, and reminiscent of cliche Disney movies. And yet it sounds wholly Beach House, maybe a bit too much, as the group seems to have become self-aware of the constant critiques lamenting their work, flourishing them, and churning out more too good to chew Dream Pop. While 'Majorette' unfolds strikingly clear, as LeGrand's vocals croon with unabashed sincerity, it fails to leave an impact, nestling neatly in middle of the road Beach House, content with the irony of reused instruments and patterns. Even greater offense to this is 'Common Girl,' a song incognizant with its origins, the foundation baring unmistakable comparison to 'On The Sea' off Bloom, so much so that after one listen it's all you can think about. Any other group would be chastised for such an err, with the pacemakers of Dream Pop though it's merely a scoff and carry on. Thankfully, as was the case with much of Depression Cherry, when Victoria and Alex attempt to reach grander sites they eviscerate previously held conceptions. There's two clear examples of this, 'One Thing' and 'Elegy To The Void,' both grueling epics reeling in guitar feedback, stomping drums, and even some noise. Both begin with declarative statements as well, the crunchy malfunctions leading off 'One Thing,' along with the emotionless drums and convulsing guitars, come off as, shockingly, Godspeed You! Black Emperor-lite. That is before Victoria presents her mummified vocals, scantily seeping across the rigid soundscape. As is the case with other standout 'Elegy To The Void,' the finale brings out screeching guitar solos by Scally, who shows off his talents greater here than on any other Beach House record when the scaffolding reaches new highs. Thanks to Victoria's cooing the record balances out on the serene end as well, her vocals and lyrics both exist in a supernatural realm of pure euphonious bliss, drawing inspiration conceptually from a Victorian-era child experiencing grave loss. With a focus on sonic pacing and structure, Thank Your Lucky Stars drills attention off variety alone, a facet of Beach House's enigma largely missing from single-minded releases like Bloom and Teen Dream. On cue though, Beach House can return to their elegant roots of lovesome melodies carried over lush production, which, as expected, makes up the bulk of this record. And as is the case with their previous five LP's they succinctly thrive on the techniques LeGrand has invested to her rapturous medley's. See 'All Your Yeahs,' a track that vicariously touches upon the most SynthPoppy moments found on the Chromatics' largely ambiguous pieces. It bears resemblance to 'Running Up That Hill,' in its ambient soundscape best suited for a late night rendezvous, with simple, yet pristine guitars that pluck away off paralleling notes. The track starts off strong but doesn't fully blossom until its final go round, as sparking synths join LeGrand who sympathetically bares her heart to a lost soul. Elsewhere, namely on the stupendous 'The Traveller,' LeGrand weeps more poetic refrains that dazzle over haunting keyboards bouncing off stringent drums. It may be unimposing but sonically this mid-album serenader has the ingredients for some of Beach House's most prolific works, it does nothing wrong and tip toes silently around any potentially polarizing sounds. As the album turns its head towards the end of the tunnel the duo known for closing albums on high-notes continues the trend with 'Somewhere Tonight.' But whereas all their previous efforts, from the grandiose 'Days Of Candy' to the riveting 'Irene,' throw everything at the wall in one last radiant push, 'Somewhere Tonight' may be their most reserved song yet, evoking an aura that bleeds Beach House's aesthetic despite this side never being shown. It's hushed, draining, and smokey, LeGrand's torch-like singing bares similarities to Lana Del Rey's most decade-captivating pieces. The dampness that carries throughout acts as a throwback to the nostalgic days of Beach House's past, where music videos like 'Master Of None's' play out on a glitter-ridden stage during the homecoming dance. It may not be their best closer but it's their most personal, a heart-to-heart that peels past the layers of an exposed heart in hopes of mending it. And, while the duo may spawn meme-like chants over this non-conformist release, Thank Your Lucky Stars is their most earnest since the pre-Sub Pop days where they were more concerned with the self than everyone around it. There's a few stumbling moments and frustrating parallelisms, but for the most part Beach House's sixth LP continues their Indie dominance with a facade that aims to mend the wounds with beauty.